Optical physicist. Expertise in spectroscopy, imaging, quantum technology, and micro/nano-photonics. Looking for motivated research students. Open to consulting. 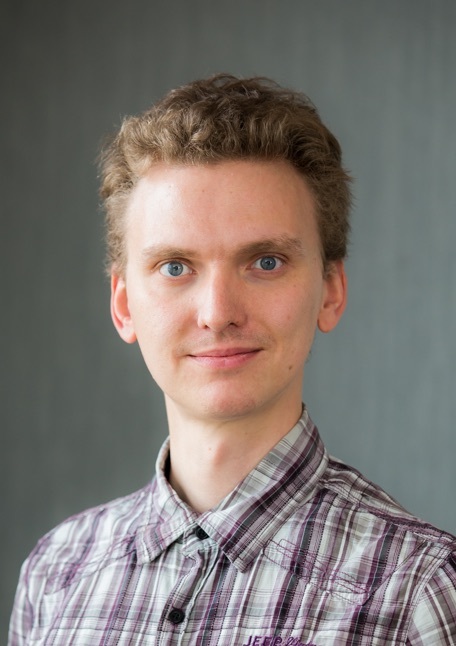 Alexander Solntsev has graduated with a double degree in Physics and Education from the Lomonosov Moscow State University in 2009 and received a PhD from the Australian National University in 2013. He then worked as a Postdoctoral Researcher (2013-2015) and a Research Fellow (2016-2017) at the Australian National University until joining the University of Technology Sydney in 2017. He received several awards including the Dynasty Foundation Award (2008), Nikolai Koroteev Award (2009), John Carver Award (2012), Robert and Helen Crompton Award (2012), Australian Institute of Physics Postgraduate Medal and Postgraduate Excellence Award (2012), Student of the Year at the Australian National University Nonlinear Physics Centre (2013), Early Career Academic Fellowship at the Australian National University House (2017), the Australian Research Council Discovery Early Career Researcher Award (2018) and University of Technology Sydney Vice Chancellor's Award for Early Career Research Excellence (2018). © The Author(s) 2018. Integrated photonics is a leading platform for quantum technologies including nonclassical state generation 1, 2, 3, 4, demonstration of quantum computational complexity 5 and secure quantum communications 6. As photonic circuits grow in complexity, full quantum tomography becomes impractical, and therefore an efficient method for their characterization 7, 8 is essential. Here we propose and demonstrate a fast, reliable method for reconstructing the two-photon state produced by an arbitrary quadratically nonlinear optical circuit. By establishing a rigorous correspondence between the generated quantum state and classical sum-frequency generation measurements from laser light, we overcome the limitations of previous approaches for lossy multi-mode devices 9, 10. We applied this protocol to a multi-channel nonlinear waveguide network and measured a 99.28±0.31% fidelity between classical and quantum characterization. This technique enables fast and precise evaluation of nonlinear quantum photonic networks, a crucial step towards complex, large-scale, device production. Quantum information systems are on a path to vastly exceed the complexity of any classical device. The number of entangled qubits in quantum devices is rapidly increasing, and the information required to fully describe these systems scales exponentially with qubit number. This scaling is the key benefit of quantum systems, however it also presents a severe challenge. To characterize such systems typically requires an exponentially long sequence of different measurements, becoming highly resource demanding for large numbers of qubits. Here we propose and demonstrate a novel and scalable method for characterizing quantum systems based on expanding a multi-photon state to larger dimensionality. We establish that the complexity of this new measurement technique only scales linearly with the number of qubits, while providing a tomographically complete set of data without a need for reconfigurability. We experimentally demonstrate an integrated photonic chip capable of measuring two- and three-photon quantum states with statistical reconstruction fidelity of 99.71%. Metasurfaces based on resonant nanophotonic structures have enabled innovative types of flat-optics devices that often outperform the capabilities of bulk components, yet these advances remain largely unexplored for quantum applications. We show that nonclassical multiphoton interferences can be achieved at the subwavelength scale in all-dielectric metasurfaces. We simultaneously image multiple projections of quantum states with a single metasurface, enabling a robust reconstruction of amplitude, phase, coherence, and entanglement of multiphoton polarization-encoded states. One- and two-photon states are reconstructed through nonlocal photon correlation measurements with polarization-insensitive click detectors positioned after the metasurface, and the scalability to higher photon numbers is established theoretically. Our work illustrates the feasibility of ultrathin quantum metadevices for the manipulation and measurement of multiphoton quantum states, with applications in free-space quantum imaging and communications. © 2018 Author(s). Spontaneous parametric down-conversion (SPDC) spectroscopy using photon pairs is a promising avenue towards affordable mid-infrared (MIR) spectroscopy. Here, we experimentally investigate the feasibility of using periodically poled waveguides in lithium niobate for SPDC spectroscopy applications. We find the waveguides suitable to generate wavelength non-degenerate photon pairs with one photon in the MIR spectral range with high fluence. We use this to determine the cutoff wavelengths of the waveguide mode in the MIR by performing only measurements in the near-infrared spectral range. © 2016 The Authors Photon entanglement has a range of applications from secure communication to the tests of quantum mechanics. Utilizing optical nonlinearity for the generation of entangled photons remains the most widely used approach due to its quality and simplicity. The on-chip integration of entangled light sources has enabled the increase of complexity and enhancement of stability compared to bulk optical implementations. Entanglement over different optical paths is uniquely suited for photonic chips, since waveguides are typically optimized for particular wavelength and polarization, making polarization- and frequency-entanglement less practical. In this review we focus on the latest developments in the field of on-chip nonlinear path-entangled photon sources. We provide a review of recent implementations and compare various approaches to tunability, including thermo-optical, electro-optical and all-optical tuning. We also discuss a range of important technical issues, in particular the on-chip separation of the pump and generated entangled photons. Finally, we review different quality control methods, including on-chip quantum tomography and recently discovered classical-quantum analogy that allows to characterize entangled photon sources by performing simple nonlinear measurements in the classical regime. © CopyrightEPLA, 2017. We establish theoretically and demonstrate experimentally that photon-pair generation through spontaneous parametric down-conversion in a nonlinear waveguide with scattering or material losses can be effectively emulated by classical laser light propagation through a specially designed linear waveguide circuit. This platform can represent arbitrary photon and pump losses, with a potential for the emulation of non-Markovian decay. We characterize the photon-pair correlation spectrum and observe its characteristic transformation from the well-known sinc-shape in lossless waveguides towards a Lorentzian shape in the presence of photon loss. © 2017 The Author(s). Spontaneous parametric down-conversion (SPDC) is a widely used method to generate entangled photons, enabling a range of applications from secure communication to tests of quantum physics. Integrating SPDC on a chip provides interferometric stability, allows to reduce a physical footprint, and opens a pathway to true scalability. However, dealing with different photon polarizations and wavelengths on a chip presents a number of challenging problems. In this work, we demonstrate an on-chip polarization beam-splitter based on z-cut titanium-diffused lithium niobate asymmetric adiabatic couplers (AAC) designed for integration with a type-II SPDC source. Our experimental measurements reveal unique polarization beam-splitting regime with the ability to tune the splitting ratios based on wavelength. I n particular, we measured a splitting ratio of 17 dB over broadband regions ( > 60 nm) for both H-and V-polarized lights and a specific 50%/50% splitting ratio for a cross-polarized photon pair from the AAC. The results show that such a system can be used for preparing different quantum polarization-path states that are controllable by changing the phase-matching conditions in the SPDC over a broad band. Furthermore, we propose a fully integrated electro-optically tunable type-II SPDC polarization-path-entangled state preparation circuit on a single lithium niobate photonic chip. © 2017 Optical Society of America. Photonic systems such as arrays of coupled waveguides are well suited to emulating quantum mechanics with periodic lattice potentials, allowing the investigation of many physical phenomena in a convenient experimental setting. Usually, photons will 'hop' only between neighboring lattice sites at a rate given by a purely real coupling coefficient, thus limiting the rich physics enabled by long-range coupling with complex coupling coefficients. Here we suggest and experimentally realize a spectral photonic lattice that can be configured to realize a wide variety of complex-valued coupling parameters over arbitrary lattice separations. In this system, a weak signal propagates across discrete frequency channels, driven by nonlinear interaction from stronger pump lasers. Our approach allows the experimental investigation of new discrete lattice physics-as an example, we demonstrate two novel instances of the discrete Talbot effect. © 2017 Author(s). Nonlinear optical waveguides enable the integration of entangled photon sources and quantum logic gates on a quantum photonic chip. One of the major challenges in such systems is separating the generated entangled photons from the pump laser light. In this work, we experimentally characterize double-N-shaped nonlinear optical adiabatic couplers designed for the generation of spatially entangled photon pairs through spontaneous parametric down-conversion, while simultaneously providing spatial pump filtering and keeping photon-pair states pure. We observe that the pump photons at a wavelength of 671 nm mostly remain in the central waveguide, achieving a filtering ratio of over 20 dB at the outer waveguides. We also perform classical characterization at the photon-pair wavelength of 1342 nm and observe that light fully couples from an input central waveguide to the outer waveguides, showing on chip separation of the pump and the photon-pair wavelength. In spontaneous parametric downconversion (SPDC), a pump photon spontaneously splits into signal and idler photons in media with quadratic nonlinearity. This phenomenon is the most widely utilized source of entangled photons with multiple applications in quantum information technology. SPDC on a chip is usually treated as a local process, meaning that signal and idler photons are created in the same position at which the pump photon is destroyed. We reveal that this locality condition can be violated in an array of coupled waveguides. By utilizing higher-order modes of individual waveguides, it is possible to destroy a pump photon in one waveguide and to generate signal and idler photons in other waveguides. This phenomenon of nonlocal photon-pair generation opens new opportunities for the engineering of spatial photon entanglement. © 2015 Optical Society of America. We describe the process of parametric amplification in a directional coupler of quadratically nonlinear and lossy waveguides, which belongs to a class of optical systems with spatial parity-time (PT) symmetry in the linear regime. We identify a distinct spectral PT anti-symmetry associated with optical parametric interaction, and show that pumpcontrolled symmetry breaking can facilitate spectrally selective mode amplification in analogy with PT lasers. We also establish a connection between the breaking of spectral and spatial mode symmetries, revealing the potential to implement unconventional regimes of spatial light switching through ultrafast control of PT breaking by pump pulses. We predict analytically and confirm with numerical simulations that intermode dispersion in nanowire waveguide arrays can be tailored through periodic waveguide bending, facilitating flexible spatiotemporal reshaping without breakup of femtosecond pulses. This approach allows simultaneous and independent control of temporal dispersion and spatial diffraction that are often strongly connected in nanophotonic structures. © 2015 American Physical Society. ©2015 American Physical Society. We predict that all-optically-reconfigurable generation of photon pairs with tailored spatial entanglement can be realized via spontaneous parametric down conversion in integrated nonlinear coupled waveguides. The required elements of the output quantum wave function are directly mapped from the amplitudes and phases of the classical laser pump inputs in each waveguide. This is achieved through special nonuniform domain poling, which locally inverts the sign of quadratic nonlinear susceptibility and accordingly shapes the interference of biphoton quantum states generated along the waveguides. We demonstrate a device configuration for the generation of any linear combination of two-photon Bell states. © 2015 American Physical Society. We analyze spontaneous parametric down-conversion in various experimentally feasible one-dimensional quadratic nonlinear waveguide arrays, with emphasis on the relationship between the lattice's topological invariants and the biphoton correlations. Nontrivial topology results in a nontrivial "winding" of the array's Bloch waves, which introduces additional selection rules for the generation of biphotons, independent of existing control using the pump beam's spatial profile and phase-matching conditions. In finite lattices, nontrivial topology produces single-photon edge modes, resulting in "hybrid" biphoton edge modes, with one photon localized at the edge and the other propagating into the bulk. When the single-photon band gap is sufficiently large, these hybrid biphoton modes reside in a band gap of the bulk biphoton Bloch wave spectrum. Numerical simulations support our analytical results. © 2015 Astro Ltd. We develop a technique for detailed analysis of aperiodically poled crystalline nonlinear transfer functions. The method allows precise evaluation of 1D aperiodic domain structure amplitude spectra. It also allows determining the angle of periodic poling in respect to the crystalline z axis, as well as the dispersion of both ordinary and extraordinary refractive indexes in a broad spectral range. The measurement is non-destructive, and all data can be extracted from two frequency-angular spontaneous parametric down-conversion (SPDC) spectra. The precision of the domain structure analysis for aperiodically poled lithium niobate is increased by an order of magnitude in comparison to previously reported techniques based on spontaneous parametric down-conversion. © 2014 American Physical Society. We describe theoretically the process of spontaneous parametric down-conversion in quadratic nonlinear waveguide arrays in the presence of linear loss. We derive a set of discrete Schrödinger-type equations for the biphoton wave function and the wave function of one photon when the other photon in a pair is lost. We demonstrate effects arising from loss-affected interference between the generated photon pairs and show that nonlinear waveguide arrays can serve as a robust loss-tolerant integrated platform for the generation of entangled photon states with nonclassical spatial correlations. Wu, CW, Solntsev, AS, Neshev, DN, Sukhorukov, AA & Kivshar, YS 2013, 'Photon pair generation in nonlinear adiabatic waveguiding structures', 2013 CONFERENCE ON LASERS AND ELECTRO-OPTICS (CLEO). Quantum entanglement became essential in understanding the non-locality of quantum mechanics. In optics, this non-locality can be demonstrated on impressively large length scales, as photons travel with the speed of light and interact only weakly with their environment. Spontaneous parametric down-conversion (SPDC) in nonlinear crystals provides an efficient source for entangled photon pairs, so-called biphotons. However, SPDC can also be implemented in nonlinear arrays of evanescently coupled waveguides which allows the generation and the investigation of correlated quantum walks of such biphotons in an integrated device. Here, we analytically and experimentally demonstrate that the biphoton degrees of freedom are entailed in an additional dimension, therefore the SPDC and the subsequent quantum random walk in one-dimensional arrays can be simulated through classical optical beam propagation in a two-dimensional photonic lattice. Thereby, the output intensity images directly represent the biphoton correlations and exhibit a clear violation of a Bell-like inequality. We study the temporal dynamics of all-optical switching in nonlinear directional couplers in periodically poled lithium niobate. The characteristic features of such switching, including asymmetric pulse break-up and back-switching were measured in full agreement with the theoretical predictions. Based on the time-resolved measurement of intensity-dependent switching, finally the theoretically long-known continuous-wave switching curve has experimentally been confirmed. © 2012 American Institute of Physics. We suggest an application of pump-degenerate four-wave mixing process in tapered waveguides for generation of ultrashort pulses with central frequency tunable over the material transparency range. Our method can produce strongly compressed frequency-converted pulses in presence of group-velocity mismatch and group-velocity dispersion. Additionally, the proposed technique does not require pulse phase synchronization and effectively operates for strongly chirped pump pulses, thus enabling the use of longer nonlinear media for high conversion efficiency. © 2012 Optical Society of America. We study experimentally and numerically the dynamics of a recently found topological phase transition for discrete quadratic solitons with linearly coupled SH waves. We find that, although no stationary states are excited in the experimental situation, the generic feature of the phase transition of the SH is preserved. By utilizing simulations of the coupled mode equations we identify the complex processes leading to the phase transition involving spatial focusing and the generation of new frequency components. These distinct signatures of the dynamic phase transition are also demonstrated experimentally. We present a method of measurement of the extraordinary refractive index dispersion in MIR for periodically and aperiodically poled nonlinear crystals with unknown or uncertain periods. The method is based on the spontaneous parametric down-conversion and is useful for the crystals with domain structure formed directly in the process of growth by Czochralski technique. As an example we measure the extraordinary refractive index of in-growth poled 2 mol% Mg and 1 mol% Nd doped congruent lithium niobate and present the corresponding Sellmeier equation in the range of 0.4-3.6 m. © 2010 Springer-Verlag. We describe a method of ultrashort-pulse and ultrafast-pulse-train generation through optical parametric amplification of a laser beat wave. Numerical simulation shows that 250-fs laser pulses at 1.55 m are generated from a beat-wave seeded optical parametric amplifier pumped by a 30-ps laser at 1064 nm. The pulse compression is attributable to sideband generation and parametric amplification under group velocity mismatch. Our experimental result confirms efficient generation of comb-like sidebands for the mixing waves from such an optical parametric amplifier. © 2009 Elsevier B.V. All rights reserved. Chung, HP, Huang, KH, Wang, K, Yang, SL, Yang, SY, Sung, CI, Solntsev, AS, Sukhorukov, AA, Neshev, DN & Chen, YH 2018, 'On-chip adiabatic couplers for broadband quantum-polarization state preparation', 2018 Conference on Lasers and Electro-Optics, CLEO 2018 - Proceedings. © 2018 OSA. We present a unique wavelength-dependent polarization splitter based on asymmetric adiabatic couplers designed for integration with type-II spontaneous parametric-down-conversion sources. The system can be used for preparing different quantum polarization-path states over a broad band. © OSA 2018. We propose and experimentally realize spectral photonic lattices with pumpinduced frequency couplings, which can emulate multi-dimensional dynamics with synthetic gauge fields and enable single-shot measurement of the signal phase and coherence. © 2018 The Author(s). We demonstrate experimentally the generation of sum-frequency signal and heralded photons with non-classical correlations via spontaneous parametric down-conversion in AlGaAs nanodisks. © 2018 OSA. We propose and experimentally realize spectral photonic lattices with pump-induced frequency couplings, which can emulate multi-dimensional dynamics with synthetic gauge fields and enable single-shot measurement of the signal phase and coherence. © 2018 The Author(s). We demonstrate experimentally on-chip-integrated spontaneous parametric downconversion spectroscopy by generating biphotons in a LiNbO<inf>3</inf> waveguide and using signal photon detection in the NIR to study the dynamics of idler photons in the MIR. © 2018 The Author(s). We propose and experimentally realize spectral photonic lattices with pumpinduced frequency couplings, which can emulate multi-dimensional dynamics with synthetic gauge fields and enable single-shot measurement of the signal phase and coherence. © 2017 IEEE. We demonstrate enhanced second-harmonic generation from a monolayer MoSe2through Si waveguide integration. This is achieved by exciting the monolayer through the guided mode, which dramatically increases the interaction length and allows for phasematching. ©2017 IEEE We demonstrate experimentally on-chip-integrated quantum spectroscopy by generating biphotons in a LiNbO3waveguide through spontaneous parametric down-conversion, and using signal photon detection in the NIR to study the dynamics of idler photons in the MIR. ©2017 IEEE We demonstrate experimentally sum-frequency generation in AlGaAs nano-resonators, establishing a quantum-classical correspondence with spontaneous parametric down-conversion. We predict that AlGaAs nano-resonators can be utilized as high-rate sources of photon pairs with non-classical correlations. © 2017 IEEE. We suggest and realize experimentally dielectric metasurfaces with high transmission efficiency for quantum multi-photon tomography, allowing for full reconstruction of pure or mixed quantum polarization states across a broad bandwidth. © 2017 IEEE. We formulate a method of quantum tomography that scales linearly with the number of photons and involves only one optical transformation. We demonstrate it experimentally for two-photon entangled states using a special photonic chip. Chen, H, Corboliou, V, Solntsev, AS, Choi, DY, Vincenti, MA, de Ceglia, D, de Angelis, C, Lu, Y & Neshev, D 2017, 'Hybrid integration of two-dimensional MoSe 2 on a silicon waveguide for second-order nonlinear optics', Optics InfoBase Conference Papers. Quantum spectroscopy is a powerful tool that is based on classically detecting one of the photons of a biphoton state to study how the other photon experiences the environment . It is especially useful, since the signal photon can be read out in the visible range, where the detection is simple and affordable, while the idler photon can probe the optical properties in mid-infrared (MIR) and far-infrared (FIR) ranges, which typically requires expensive and bulky solutions when using conventional spectroscopic approaches. Quantum spectroscopy has been utilized to measure broadband refractive index dispersion  and domain structure  of solids in a single shot of a non-tunable continuous-wave laser, as well as to precisely determine the optical properties of gases . All-dielectric and semiconductor nonlinear nanophotonics is an emerging field enabling efficient optical interactions between magnetic and electric resonances at sub-wavelength scales, thereby achieving high directionality and high figures of merit due to very low losses [1, 2]. It was shown that AlGaAs nanodisks with quadratic nonlinear susceptibility can provide second harmonic generation (SHG) with record-high efficiency of 10 -4 , opening to a wide range of possible applications, including nonlinear microscopy and holography. In this work, we show experimentally that the strong quadratic nonlinearity in AlGaAs nano-disks allows efficient sum-frequency generation (SFG) with nontrivial polarization dependencies. By using the established classical-quantum analogy , we predict that these nano-resonators can facilitate efficient generation of quantum entangled photon pairs with higher than kHz biphoton rate and strong angular correlations. Measurements of quantum states of photons are conventionally performed with series of optical elements in bulk setups  or optical chips incorporating multiple tunable beam splitters. Here, we suggest and develop experimentally, for the first time to our knowledge, a new concept of quantum-polarization measurements with a single all-dielectric resonant metasurface . The operating principle is presented in Fig. 1(a): A metasurface spatially splits different components of photon polarization states, which then enables full reconstruction of the photon state based on the photon correlations with simple polarization-insensitive single-photon detectors or EMCCD cameras. The subwavelength thin structure provides an ultimate miniaturization, and can facilitate quantum tomography by spatially-resolved imaging without a need for reconfiguration. Such parallel-detection approach promises not only better robustness and scalability, but also the possibility to study the dynamics of quantum states in real-time. © OSA 2017. We suggest and realize experimentally dielectric metasurfaces with high transmission efficiency for quantum multi-photon tomography, allowing for full reconstruction of pure or mixed quantum polarization states across a broad bandwidth. © OSA 2017. We suggest and realize experimentally quantum walks on a spectral photonic lattice with optically tunable long-range and complex hopping coefficients facilitated by nonlinear parametric interactions, enabling asymmetric frequency shaping and Talbot effect with arbitrary periodicity. © OSA 2017. We measure the complex weak value beyond the weak interaction regime between the measurement apparatus and the measured photon wavefunction based on the direct measurement scheme. © 2017 Institute of Electrical and Electronics Engineers Inc. All Rights Reserved. We fabricate AlGaAs nanoantennas on a glass substrate and demonstrate the highest nonlinear conversion efficiency of 10-4with the capability for shaping the radiation patterns and polarization of the second harmonic emission in both forward and backward directions. We also decode dynamic multipolar contributions to the second harmonic generation within such nanoantennas. © 2017 Institute of Electrical and Electronics Engineers Inc. All rights reserved. We propose and demonstrate a new method for the characterization of nonlinear multimode integrated devices that reconstruct the biphoton state produced trough spontaneous parametric down-conversion (SPDC) using classical sum-frequency generation measurements. The proposed method is experimentally demonstrated by predicting the state generated from a multi-channel integrated nonlinear waveguide device. Lenzini, F, Poddubny, AN, Titchener, J, Fisher, P, Boes, A, Kasture, S, Haylock, B, Villa, M, Mitchell, A, Solntsev, AS, Sukhorukov, AA & Lobino, M 2017, 'Quantum tomography of a nonlinear photonic circuit by classical sum-frequency generation measurements', Optics InfoBase Conference Papers. © 2018 Optics InfoBase Conference Papers. All rights reserved. We propose and demonstrate a new method for the characterization of nonlinear multimode integrated devices that reconstruct the biphoton state produced trough spontaneous parametric down-conversion (SPDC) using classical sum-frequency generation measurements. The proposed method is experimentally demonstrated by predicting the state generated from a multi-channel integrated nonlinear waveguide device. Rahmani, M, Kruk, S, Camacho-Morales, R, Xu, L, Wang, L, Miroshnichenko, AE, Smirnova, D, Tan, H, Karouta, F, Naureen, S, Vora, K, Solntsev, AS, Carletti, L, De Angelis, C, Jagadish, C, Kivshar, YS & Neshev, DN 2017, 'Giant enhancement and control of second-harmonic radiation from AlGaAs nanoantennas', Optics InfoBase Conference Papers. © 2018 Optics InfoBase Conference Papers. All rights reserved. We fabricate AlGaAs nanoantennas on a glass substrate and demonstrate the highest nonlinear conversion efficiency of 10 -4 with the capability for shaping the radiation patterns and polarization of the second harmonic emission in both forward and backward directions. We also decode dynamic multipolar contributions to the second harmonic generation within such nanoantennas. © 2016 OSA.We present a novel approach for all-optically reconfigurable integrated generation of quantum entangled photons in cluster states through spontaneous parametric down-conversion in coupled arrays of quadratic nonlinear waveguides with special poling patterns. © 2016 OSA.We demonstrate a controllable non-reciprocity via in-band transitions of photons mediated by second-order parametric nonlinear processes, and propose a dynamic optical isolator based on directional geometric phase-shifts controlled by a single pump. © OSA 2016.We fabricate AlGaAs nanodisk antennas on a glass substrate and demonstrate experimentally the shaping of radiation patterns and polarization of the second harmonic emission in both forward and backward directions. © OSA 2016. We formulate a method of quantum tomography that scales linearly with the number of photons and involves only one optical transformation. We demonstrate it experimentally for twophoton entangled states using a special photonic chip. © 2016 OSA.We fabricate AlGaAs nanodisk antennas on a glass substrate and demonstrate experimentally the shaping of radiation patterns and polarization of the second harmonic emission in both forward and backward directions. © 2016 OSA.We present the realization of an inhomogeneously poled nonlinear waveguide array for the generation of photon pairs. The device is characterized by coincidence counting and a novel method based on reversed sum-frequency generation measurements. © 2016 OSA.We predict highly efficient sum-frequency conversion in quadratic nonlinear dielectric nano-resonators made of AlGaAs, and formulate a general quantum-classical correspondence with spontaneous parametric down-conversion, revealing a photon-pair generation regime with non-classical angular correlations. © 2016 OSA.We present the realization of an inhomogeneously poled nonlinear waveguide array for the generation of photon pairs with integrated pump filtering. The biphoton wave-function produced from the device is characterized using reversed sum-frequency generation measurements. © 2016 OSA.We predict and demonstrate experimentally a metal-insulator phase transition from extended wave transport to localized Bloch oscillations at a critical effective potential strength in photonic lattices, which realize optical emulator of quantum photon squeezing. © 2016 OSA.We demonstrate a coupled-waveguide platform which realizes classical optical simulation of quantum photon-pair generation through spontaneous parametric down-conversion in a nonlinear lossy waveguide. The photon-pair creation vs. the phase mismatch and loss are experimentally mapped. Titchener, JG, Solntsev, AS & Sukhorukov, AA 2015, 'Bell state generation and pump filtering using inhomogeneously poled nonlinear waveguides', Proceedings of Frontiers in Optics 2015, FIO 2015. © OSA 2015. We show that special domain poling patterns in arrays of coupled nonlinear waveguides can allow shaping of the photon pair wavefunction produced by down-conversion. This allows pump filtering and the reconfigurable generation of Bell states. Setzpfandt, F, Solntsev, AS, Titchener, J, Wu, CW, Xiong, C, Pertsch, T, Schiek, R, Neshev, DN & Sukhorukov, AA 2015, 'Optically tunable entangled photon state generation in a nonlinear directional coupler', Conference on Lasers and Electro-Optics Europe - Technical Digest. © 2015 OSA. We propose and experimentally demonstrate an all-optically tunable biphoton quantum light source using a nonlinear directional coupler. The source can generate high-fidelity N00N states, completely split states, and states with variable degrees of entanglement. Antonosyan, DA, Solntsev, AS & Sukhorukov, AA 2015, 'Parity-time anti-symmetric parametric amplifier', Conference on Lasers and Electro-Optics Europe - Technical Digest. © 2015 OSA. We predict that directional coupler of quadratically nonlinear and lossy waveguides can perform ultrafast signal switching and parametric amplification, using the pump-controlled breaking of the parity-time anti-symmetry associated with nonlinear wave mixing. © 2015 SPIE. We describe the process of parametric amplification in a directional coupler of quadratically nonlinear and lossy waveguides, which belong to a class of optical systems with spatial parity-time (PT) symmetry in the linear regime. We identify a distinct spectral parity-time anti-symmetry associated with optical parametric interactions, and show that pump-controlled symmetry breaking can facilitate spectrally selective mode amplification in analogy with PT lasers. We also establish a connection between breaking of spectral and spatial mode symmetries, revealing the potential to implement unconventional regimes of spatial light switching through ultrafast control of PT breaking by pump pulses. © 2015 OSA. We predict that directional coupler of nonlinear and lossy waveguides can perform ultrafast signal switching and parametric amplification, using the pump-controlled breaking of the parity-time anti-symmetry associated with nonlinear wave mixing. © 2015 OSA. Cubic and quadratic nonlinear susceptibility tensor elements in lithium niobate waveguides and optical fibers were determined from measurements of pulse envelopes and power-dependent phase-changes due to self-phase modulation. We predict that directional coupler of quadratically nonlinear and lossy waveguides can perform ultrafast signal switching and parametric amplification, using the pump-controlled breaking of the parity-time anti-symmetry associated with nonlinear wave mixing. © 2014 Optical Society of America. We predict that complete deterministic conversion of one to two photons can be achieved at a finite propagation distance in specially engineered nonlinear waveguides, by designing quantum frequency mixing across a broad range of frequencies. © 2014 Optical Society of America. We propose and experimentally demonstrate an all-optically tunable biphoton quantum light source using a nonlinear directional coupler. The source can generate high-fidelity N00N states, completely split states, and states with variable degrees of entanglement. © 2014 Optical Society of America. Setzpfandt, F, Solntsev, AS, Titchener, J, Wu, CW, Xiong, C, Pertsch, T, Schiek, R, Neshev, DN & Sukhorukov, AA 2015, 'Tunable entangled photon states from a nonlinear directional coupler', Optics InfoBase Conference Papers. Gräfe, M, Antonosyan, DA, Solntsev, AS, Szameit, AS & Sukhorukov, AA 2014, 'Optical simulation of photon-pair generation in nonlinear lossy waveguides', Optics InfoBase Conference Papers. Sergeyev, A, Geiss, R, Solntsev, AS, Sukhorukov, AA, Schrempel, F, Pertsch, T & Grange, R 2014, 'Maximizing the guided second-harmonic in lithium niobate nanowires', Optics InfoBase Conference Papers. Setzpfandt, F, Solntsev, AS, Titchener, J, Wu, CW, Xiong, C, Pertsch, T, Schiek, R, Neshev, DN & Sukhorukov, AA 2014, 'Tunable entangled photon states from a nonlinear directional coupler', Optics InfoBase Conference Papers. © OSA 2016. We predict photon-pair generation with non-classical angular correlations through spontaneous parametric down-conversion in quadratic nonlinear dielectric AlGaAs nanoresonators, and establish a quantum-classical correspondence with sum-frequency conversion. © OSA 2016. We present the realization of an inhomogeneously poled nonlinear waveguide array for the generation of photon pairs. The device is characterized by coincidence counting and a novel method based on reversed sum-frequency generation measurements. Setzpfandt, F, Solntsev, AS, Pertsch, T & Sukhorukov, AA 2014, 'Nonlocal parametric down-conversion in multi-mode nonlinearwaveguide arrays', Optics InfoBase Conference Papers. Sergeyev, A, Geiss, R, Solntsev, A, Kley, EB, Pertsch, T & Grange, R 2014, 'Local fluorescent dye excitation with guided secondharmonic in lithium niobate nanowires', Conference on Lasers and Electro-Optics Europe - Technical Digest. © 2014 Optical Society of America. We have generated second-harmonic (SH) signal in lithium niobate (LiNbO3) nanowires (NWs) to locally excite fluorescent dye in typical cell staining concentration. We show the second-order behavior of the SH signal in a NW with cross-section of 400x600 nm2. A guided SH power of 63±6 pW is needed to detect dye excitation in a 1 g/ml DAPI dye solution. We also perform simulations to define that the LiNbO3 NWs with cross-sections down to 40x60nm2 are potentially able to produce the threshold amount of the SH power. Stützer, S, Solntsev, AS, Nolte, S, Sipe, JE, Sukhorukov, AA & Szameit, A 2014, 'Simulation of two-mode squeezing in photonic waveguide lattices', Conference on Lasers and Electro-Optics Europe - Technical Digest. © 2014 Optical Society of America. We show how classical light can be used to simulate a nonclassical quantum process. Specially modulated optical waveguides were utilized to emulate two-mode squeezed vacuum states as the light amplitudes in our arrays correspond to the photon number distribution of the squeezed states. In our experiments demonstrate a transition from photon number growth to periodic Bloch oscillations for increased phase mismatch. Titchener, JG, Solntsev, AS & Sukhorukov, AA 2014, 'Generation of reconfigurable photon-pair states in aperiodically poled quadratic waveguide arrays', Nonlinear Photonics, NP 2014. © 2014 OSA. We propose special poling of quadratic nonlinear waveguide arrays enabling generation of photon pairs in any path entangled quantum state. Real-time switching between output quantum states can be achieved by varying classical input laser amplitudes. Wu, CW, Solntsev, AS, Neshev, DN & Sukhorukov, AA 2014, 'Bell States Generation with Spatial Pump Filtering in Nonlinear Adiabatic Waveguiding Structures', 2014 OPTOELECTRONICS AND COMMUNICATIONS CONFERENCE AND AUSTRALIAN CONFERENCE ON OPTICAL FIBRE TECHNOLOGY (OECC/ACOFT 2014), 19th OptoElectronics and Communication Conference (OECC) / 39th Australian Conference on Optical Fibre Technology (ACOFT), IEEE, Engineers Australia, Melbourne, AUSTRALIA, pp. 825-826. Titchener, JG, Solntsev, AS & Sukhorukov, AA 2014, 'Integrated generation of photon pairs with all-optically reconfigurable quantum states', 2014 OPTOELECTRONICS AND COMMUNICATIONS CONFERENCE AND AUSTRALIAN CONFERENCE ON OPTICAL FIBRE TECHNOLOGY (OECC/ACOFT 2014), 19th OptoElectronics and Communication Conference (OECC) / 39th Australian Conference on Optical Fibre Technology (ACOFT), IEEE, Engineers Australia, Melbourne, AUSTRALIA, pp. 652-653. We develop a novel integrated scheme for on-chip generation of Bell states, which allows simultaneous spatial filtering of pump photons. It is achieved through spontaneous parametric down-conversion in a system of nonlinear adiabatically coupled waveguides. Importantly, the adiabatic couplers maintain the purity of generated Bell states in a relatively fabrication-fault-tolerant way. © 2014 IEEE. Stützer, S, Solntsev, AS, Nolte, S, Sipe, JE, Sukhorukov, AA & Szameit, A 2014, 'Simulation of two-mode squeezing in photonic waveguide lattices', Optics InfoBase Conference Papers. We show how classical light can be used to simulate a nonclassical quantum process. Specially modulated optical waveguides were utilized to emulate two-mode squeezed vacuum states as the light amplitudes in our arrays correspond to the photon number distribution of the squeezed states. In our experiments demonstrate a transition from photon number growth to periodic Bloch oscillations for increased phase mismatch. © 2014 Optical Society of America. Sergeyev, A, Geiss, R, Solntsev, A, Kley, EB, Pertsch, T & Grange, R 2014, 'Local fluorescent dye excitation with guided secondharmonic in lithium niobate nanowires', Optics InfoBase Conference Papers. We have generated second-harmonic (SH) signal in lithium niobate (LiNbO3) nanowires (NWs) to locally excite fluorescent dye in typical cell staining concentration. We show the second-order behavior of the SH signal in a NW with cross-section of 400x600 nm2. A guided SH power of 63±6 pW is needed to detect dye excitation in a 1 g/ml DAPI dye solution. We also perform simulations to define that the LiNbO3 NWs with cross-sections down to 40×60nm2 are potentially able to produce the threshold amount of the SH power. © 2014 OSA. We develop a systematic procedure for deriving the coupled-mode equations describing the spatial evolution of the slowly-varying amplitudes of electromagnetic modes in nonlinear periodic structures with loss and gain. Our approach is rigorously based on the Lorentz reciprocity theorem, and therefore it can be applied to a broad range of structures with metal and dielectric non-magnetic components, including plasmonic waveguides and metamaterials. We verify our approach through a direct comparison with the earlier analysis based on a direct perturbation theory for planar metal-dielectric structures, and furthermore demonstrate the application of our method to the three-dimentional multilayer fishnet metamaterials. © 2013 IEEE. Graefe, M, Solntsev, AS, Keil, R, Tuennermann, A, Nolte, S, Sukhorukov, AA, Kivshar, YS & Szameit, A 2013, 'Photon pair generation in quadratic waveguide arrays: A classical optical simulation', 2013 CONFERENCE ON LASERS AND ELECTRO-OPTICS EUROPE AND INTERNATIONAL QUANTUM ELECTRONICS CONFERENCE (CLEO EUROPE/IQEC), Conference on Lasers and Electro-Optics Europe & International Quantum Electronics Conference (CLEO/Europe-IQEC), IEEE, Munich, GERMANY. Gräfe, M, Solntsev, AS, Keil, R, Tünnermann, A, Nolte, S, Sukhorukov, AA, Kivshar, YS & Szameit, A 2013, 'Photon pair generation in quadratic waveguide arrays: A classical optical simulation', Optics InfoBase Conference Papers. Antonosyan, DA, Solntsev, AS, Sukhorukov, AA & Kivshar, YS 2013, 'Loss-tolerant photon-pair generation and quantum walks in nonlinear waveguide arrays', Optics InfoBase Conference Papers. We demonstrate that generation and quantum walks of biphotons with non-classical spatial correlations in nonlinear waveguide arrays is tolerant to losses for different pump regimes, and suggest quick loss characterization approach based on nonlinear spectroscopy. © OSA 2013. Solntsev, AS, Setzpfandt, F, Clark, AS, Schreiber, A, Katzschmann, F, Schiek, R, Sohler, W, Silberhorn, C, Pertsch, T, Sukhorukov, AA, Neshev, DN & Kivshar, YS 2013, 'Nonlinear quantum walks at the edge of quadraticwaveguide arrays', Optics InfoBase Conference Papers. We realize experimentally quantum walks of photon-pairs generated in a quadratic nonlinear waveguide array, and demonstrate that the pump distance from the edge strongly affects the spatial correlations through the interference from virtual biphoton sources. © 2013 Optical Society of America. Wu, CW, Solntsev, AS, Neshev, DN & Sukhorukov, AA 2013, 'Photon pair generation in nonlinear adiabatic waveguiding structures', CLEO: QELS_Fundamental Science, CLEO:QELS FS 2013. We propose a novel scheme for broadband generation of photon pairs combined with efficient spatial pump filtering. This is achieved through spontaneous parametric downconversion in a system of nonlinear adiabatically coupled waveguides. © 2013 Optical Society of America. Graefe, M, Solntsev, AS, Keil, R, Tuennermann, A, Nolte, S, Szameit, A, Sukhorukov, AA & Kivshar, YS 2012, 'Classical Optical Simulation of Bi-Photon Generation in Quadratic Waveguide Arrays', 2012 CONFERENCE ON LASERS AND ELECTRO-OPTICS (CLEO), Conference on Lasers and Electro-Optics (CLEO), IEEE, San Jose, CA. Solntsev, AS, Sukhorukov, AA, Neshev, DN & Kivshar, YS 2012, 'Generation of photon pairs in cubic nonlinear waveguide arrays', Optics InfoBase Conference Papers. We analyze the quantum statistics of photon pair generation through spontaneous four-wave mixing in nonlinear waveguide arrays and predict pump power-controlled transition between bunching and anti-bunching correlations due to self-focusing of the pump beam. © 2012 Optical Society of America. Solntsev, AS, Setzpfandt, F, Wu, A, Neshev, DN, Sukhorukov, AA, Kivshar, YS & Pertsch, T 2012, 'Observation of spontaneous parametric down conversion in LiNbO3 waveguide arrays', 2012 CONFERENCE ON LASERS AND ELECTRO-OPTICS (CLEO), Conference on Lasers and Electro-Optics (CLEO), IEEE, San Jose, CA. Solntsev, AS, Setzpfandtc, F, Wu, A, Neshev, DN, Sukhorukov, AA, Kivshar, YS & Pertsch, T 2012, 'Observation of spontaneous parametric down conversion in LiNbO3 waveguide arrays', Optics InfoBase Conference Papers. We study experimentally the process of bi-photon generation through spontaneous parametric down-conversion in waveguide arrays. We show the formation of a unique spatial-spectral photon pattern and its dependence on the phase-matching conditions. © 2011 Optical Society of America. Gräfe, M, Solntsev, AS, Keil, R, Tünnermann, A, Nolte, S, Szameit, A, Sukhorukov, AA & Kivshar, YS 2012, 'Classical optical simulation of bi-photon generation in quadratic waveguide arrays', Optics InfoBase Conference Papers. We suggest and demonstrate experimentally that evolution of classical light can simulate bi-photon generation through spontaneous parametric downconversion and correlated quantum walks in waveguide arrays, including violation of Bell's inequality. © 2011 Optical Society of America. Solntsev, AS, Clark, AS, Setzpfandt, F, Collins, MJ, Xiong, C, Wu, A, Eilenberger, F, Schreiber, A, Katzschmann, F, Schiek, R, Sohler, W, Mitchell, A, Silberhorn, C, Eggleton, BJ, Pertsch, T, Sukhorukov, AA, Neshev, DN & Kivshar, YS 2012, 'Simultaneous photon-pair generation and quantumwalks in a waveguide array', Frontiers in Optics, FIO 2012. We demonstrate experimentally simultaneous photon-pair generation and quantum walks in a PPLN waveguide array where the output photon correlations can be controlled by varying the pump laser wavelength, switching from classical to quantum statistics. © OSA 2012. Solntsev, AS, Setzpfandt, F, Wu, A, Neshev, DN, Sukhorukov, AA, Kivshar, YS & Pertsch, T 2012, 'Observation of spontaneous parametric down conversion in LiNbO 3 waveguide arrays', CLEO: Applications and Technology, CLEO_AT 2012. Gräfe, M, Solntsev, AS, Keil, R, Tünnermann, A, Nolte, S, Szameit, A, Sukhorukov, AA & Kivshar, YS 2012, 'Classical optical simulation of bi-photon generation in quadratic waveguide arrays', CLEO: Applications and Technology, CLEO_AT 2012. We suggest and demonstrate experimentally that evolution of classicallight can simulate bi-photon generation through spontaneous parametric downconversion and correlated quantum walks in waveguide arrays, including violation of Bell's inequality. © 2011 Optical Society of America. Solntsev, AS, Setzpfandt, F, Wu, A, Neshev, DN, Sukhorukov, AA, Kivshar, YS & Pertsch, T 2012, 'Observation of spontaneous parametric down conversion in LiNbO3 waveguide arrays', CLEO: Applications and Technology, CLEO_AT 2012. We develop a systematic procedure for deriving the coupled-mode equations describing the spatial evolution of the slowly-varying amplitudes of electromagnetic modes in nonlinear periodic structures with loss and gain. Our approach is rigorously based on the Lorentz reciprocity theorem, and therefore it can be applied to a broad range of non-magnetic structures with metal and dielectric components, including plasmonic waveguides and metamaterials. We verify our approach through a direct comparison with the previous analysis based on a direct perturbation theory for planar metal-dielectric structures, and furthermore demonstrate the application of our method to the fishnet metamaterials. © 2012 American Institute of Physics. We study photon-pair generation in arrays of cubic nonlinear waveguides through spontaneous four-wave mixing. We analyze numerically the quantum statistics of photon pairs at the array output as a function of waveguide dispersion and pump beam power. We show flexible spatial quantum state control such as pump-power-controlled transition between bunching and anti-bunching correlations due to nonlinear self-focusing. Solntsev, AS, Setzpfandt, F, Wu, A, Neshev, DN, Sukhorukov, AA, Kivshar, YS & Pertsch, T 2012, 'Observation of spontaneous parametric down conversion in LiNbO3 waveguide arrays', 2012 Conference on Lasers and Electro-Optics, CLEO 2012. We study experimentally the process of bi-photon generation through spontaneous parametric down-conversion in waveguide arrays. We show the formation of a unique spatial-spectral photon pattern and its dependence on the phase-matching conditions. © 2012 OSA. Gräfe, M, Solntsev, AS, Keil, R, Tünnermann, A, Nolte, S, Szameit, A, Sukhorukov, AA & Kivshar, YS 2012, 'Classical optical simulation of bi-photon generation in quadratic waveguide arrays', 2012 Conference on Lasers and Electro-Optics, CLEO 2012. We suggest and demonstrate experimentally that evolution of classical light can simulate bi-photon generation through spontaneous parametric down-conversion and correlated quantum walks in waveguide arrays, including violation of Bell's inequality. © 2012 OSA. Setzpfandt, F, Sukhorukov, AA, Neshev, DN, Schiek, R, Solntsev, AS, Eilenberger, F, Minardi, S, Ricken, R, Min, Y, Sohler, W, Kivshar, YS & Pertsch, T 2011, 'Nonlinear evolution of laser pulses in lithium niobate waveguide arrays', Optics InfoBase Conference Papers. We study experimentally and numerically the spatiotemporal evolution of short pulses in quadratic nonlinear waveguide arrays with coupled second-harmonic modes, revealing complex spectral transformations involving generation of new frequency components at the Brillouin zone edge. © 2011 Optical Society of America. Solntsev, AS, Sukhorukov, AA, Neshev, DN & Kivshar, YS 2011, 'Photon pair generation and quantum walks in arrays of quadratic nonlinear waveguides', Optics InfoBase Conference Papers. We study photon pair generation through spontaneous parametric down con- version accompanied by quantum walks in arrays of quadratic nonlinear waveguides and investigate various ways to control output photon correlations. © 2011 Optical Society of America. Solntsev, AS, Sukhorukov, AA, Neshev, DN & Kivshar, YS 2011, 'Photon pair generation and quantum walks in quadratic nonlinear waveguide arrays', Optics InfoBase Conference Papers, pp. 962-964. We study photon pair generation through spontaneous parametric down conversion ac-companied by quantum walks in arrays of quadratic nonlinear waveguides and investigate various ways to control output photon correlations. © 2011 AOS. Setzpfandt, F, Sukhorukov, AA, Neshev, DN, Schiek, R, Solntsev, AS, Ricken, R, Min, Y, Sohler, W, Kivshar, YS & Pertsch, T 2011, 'Spatio-temporal dynamics of laser pulses in lithium niobate waveguide arrays', Optics InfoBase Conference Papers, pp. 584-586. We study experimentally and numerically the spatiotemporal evolution of short pulses in quadratic nonlinear waveguide arrays with coupled second-harmonic modes, revealing complex spectral transformations involving generation of new frequency components at the Brillouin zone edge. © 2011 AOS. Setzpfandt, F, Sukhorukov, AA, Neshev, DN, Schiek, R, Solntsev, AS, Kivshar, YS & Pertsch, T 2011, 'Nonlinear pulse transformation and phase transitions in LiNbO3 waveguide arrays', Optics InfoBase Conference Papers. Solntsev, AS, Sukhorukov, AA, Neshev, DN & Kivshar, YS 2011, 'Combined photon pair generation and quantum walks in quadratic nonlinear waveguide arrays', Optics InfoBase Conference Papers. We study photon pair generation through spontaneous parametric down conversion ac- companied by quantum walks in arrays of quadratic nonlinear waveguides and investigate various ways to control output photon correlations. © 2011 OSA. We study experimentally and numerically the spatiotemporal evolution of short pulses in quadratic nonlinear waveguide arrays with coupled second-harmonic modes, revealing complex spectral transformations involving generation of new frequency components at the Brillouin zone edge. © 2011 IEEE. We study photon pair generation through spontaneous parametric down conversion accompanied by quantum walks in arrays of quadratic nonlinear waveguides and investigate various ways to control output photon correlations. © 2011 IEEE. Nonlinear directional couplers (NLDC) allow for ultrafast all-optical switching. To date, various types of NLDCs have been studied, predominantly based on the Kerr  or cascaded quadratic nonlinearity  in second-harmonic generation (SHG). In the later case the switching can occur at lower powers because of a propagating-wave resonance effect. While a number of experiments to characterise the pulse propagation in Kerr-type couplers exist, till now the temporal behavior of short pulses in the NLDC with quadratic nonlinearity has never been studied experimentally. Several important questions such as the reason for incomplete switching and possible pulse compression factors remain unanswered. In this work we experimentally measure the pulse reshaping in a NLDC with second-order nonlinearity and show that pulse compression, break-up and back-switching play an important role in the switching process. © 2011 IEEE. Arrays of coupled optical waveguides provide a flexible platform for manipulation of optical beams and pulses . Recently, the propagation of non-classical light in waveguide arrays has shown a surging attention. It was shown that quantum walks of correlated photon pairs realized through propagation in waveguide arrays can lead to nontrivial quantum correlations at the array output [2, 3]. However, all currently used schemes for quantum walks utilise correlated photon pairs generated externally to the array. Here, we propose and demonstrate numerically a novel scheme enabling simultaneous generation of correlated photon pair through spontaneous parametric downconversion (SPDC) and quantum walks inside a single photonic element - an array of quadratic nonlinear waveguides. This scheme avoids entirely the need for complex interfaces between the different photonic elements  and enables novel ways for control of the quantum correlations. © 2011 IEEE. High-index-contrast nanowires offer unique advantages for manipulation of optical pulses in compact photonic circuits, providing high field confinement and enabling precise dispersion engineering . Furthermore, arrays of coupled nanowire waveguides [2-4] open possibilities for efficient spatio-temporal shaping and switching of optical pulses. In order to harness these opportunities, it is essential to develop approaches to simultaneously control temporal and spatial dispersion, as these characteristics can be strongly connected in nanophotonic structures. In this work, we suggest that spatio-temporal dispersion can be tailored by introducing periodic waveguide bending, and demonstrate through numerical simulations the application of this concept to suppress pulse break-up. © 2011 IEEE. Lithium niobate waveguide arrays (WGAs)  offer rich possibilities for all-optical shaping, switching, and routing of short optical pulses. In such systems, light from the fundamental wave (FW) is coupled by the 2 nonlinearity to the second harmonic (SH) giving rise to a strong cascaded quadratic nonlinearity. Recently a new type of phase transition in the nonlinear localised states was identified due to the competition between self-focusing and SH waveguide coupling, where the SH phase profile abruptly switches from in-phase to staggered structure as the input power is increased . However, the temporal extent of the short laser pulses used in realistic experiments leads to a complex pulse reshaping in the course of propagation. Never studied experimentally before, such temporal dynamics is important for utilising the phase transition phenomenon for applications in optical switching. In this work, we study the spatio-temporal dynamics of pulses in lithium niobate WGAs and describe numerically and characterize experimentally the complex spatio-temporal nonlinear pulse transformations associated with the phase transition. © 2011 IEEE. Solntsev, AS, Sukhorukov, AA, Neshev, DN, Iliew, R, Pertsch, T & Kivshar, YS 2010, 'High efficiency harmonic generation in LiNbO3 membranes', Optics InfoBase Conference Papers. We reveal simultaneous phase-and group-velocity matching for frequency dou-bling of ultra-short pulses at telecom wavelengths in LiNbO3 membranes. Fur-thermore, we predict complete phase-matched cascaded third-harmonic gener-ation for optimized membrane thickness. © 2010 Optical Society of America. We reveal simultaneous phase-and group-velocity matching for frequency dou- bling of ultra-short pulses at telecom wavelengths in LiNbO3 membranes. Fur-thermore, we predict complete phase-matched cascaded third-harmonic gener-ation for optimised membrane thickness. © 2009 Optical Society of America. Solntsev, AS & Sukhorukov, AA 2010, 'Combined frequency conversion and pulse compression in nonlinear tapered waveguides', PROCEEDINGS OF 2010 CONFERENCE ON OPTOELECTRONIC AND MICROELECTRONIC MATERIALS AND DEVICES (COMMAND 2010), Conference on Optoelectronic and Microelectronic Materials and Devices (COMMAD), IEEE, Canberra, AUSTRALIA, pp. 89-90. Solntsev, AS, Sukhorukov, AA, Neshev, DN, Iliew, R, Pertsch, T & Kivshar, YS 2010, 'High efficiency harmonic generation in LiNbO3 membranes', Lasers and Electro-Optics/Quantum Electronics and Laser Science Conference: 2010 Laser Science to Photonic Applications, CLEO/QELS 2010. We reveal simultaneous phase- and group-velocity matching for frequency doubling of ultra-short pulses at telecom wavelengths in LiNbO3 membranes. Furthermore, we predict complete phase-matched cascaded third-harmonic generation for optimised membrane thickness. © 2009 Optical Society of America.